Re: Drinking and Urinating too much? Hey and a cheery Hello to you this Monday. Do you ever notice How it’s hard for you to get motivated and say… Go to work… on a Monday morning? Yet our pets don’t seem to have the same problem. Always good to go – in fact Lewis is raring to go for a walk rain or shine. And my cat Cleo is pretty content most of the time – especially interspersed with affection. Our pets are pretty good at living in the moment – and I know I can sure learn a few things from them. Speaking of drinking and urine.. There are MANY things that can cause your dog or cat to have increased drinking and urinating. In fact I have 2 seriously diabetic dogs in the clinic over the weekend. They are both doing MUCH better now, but had to be hospitalized because of a secondary condition called Diabetic Ketoacidosis. Your pet is drinking and urinating much more than normal. This may be accompanied by increased appetite, but also weight loss. Some people notice a sweet smell to the breath. If not noticed early, your pet may become very ill with a condition called Ketoacidosis. This requires immediate veterinary treatment. Diabetes is a result of the pancreas not producing enough insulin to allow the body to utilize blood glucose (sugar). This results in high blood sugar levels causing increased drinking and urination. Some dogs and cats are genetically at risk of developing diabetes. Pets that are obese, especially cats, are at higher risk. TO THE VET. If you suspect your pet is diabetic, have this confirmed by your veterinarian. Most dogs have to be regulated with twice-daily insulin therapy. Most cats begin with insulin, but with some diet alterations may come off insulin therapy. Ask your veterinarian about Glargine (brand name Lantus) Insulin – it is longer acting and better at regulating difficult to better at regulating difficult to regulate diabetic cats. INSULIN THERAPY. Most diabetic pets require insulin injections given under the skin twice daily. The injections can be given at home, and at the same time each day. 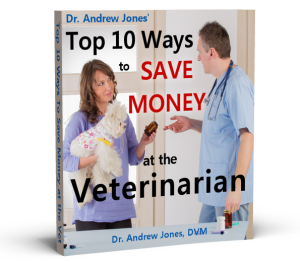 Your veterinarian will show you how to give injections – they are not painful and usually not even noticed. The proper type of insulin, dose, and frequency of administration needs to be determined by your veterinarian. The most common Insulin used is NPH – a synthetic Human form called Humulin-N is the popular one for dogs. Glargine appears extremely promising for cats. Glargine has a very long duration of action and a predictable blood glucose lowering effect. The typical starting dose is 0.5 U/kg twice daily. A blood glucose curve is performed 7 days and 14 days after starting on Glargine (Lantus). DIETARY CHANGES FOR CATS. Recent studies have shown that cats benefit greatly from higher protein, lower carbohydrate diets. These resemble diets that they would eat in the wild. Purina and Hills now make specific feline diabetic diets. You can also purchase canned food that fits this requirement at the grocery store. CANNED FOOD. I can’t emphasize this point enough for all cat owners with a diabetic cat. Changing to a less than 5% carbohydrate, high protein canned food is the single most important change to make. Eliminate the dry kibble, and only feed canned. Some commercial diets in this category include: Wellness Chicken or Turkey; Fancy Feast Chunky Chicken or Chunky Turkey; Nature’s Variety Organic, and raw, frozen diets. This gives your cat the greatest chance to come off of Insulin Therapy. I am finding that we can control diabetes in about 50% of diabetic cats by only feeding a higher protein canned food. DIET FOR DOGS. The newer research is pointing towards higher protein, lower carbohydrate, and lower fat diets for dogs. Dogs will metabolize protein when they are unregulated – hence the additional protein levels help maintain muscle mass. This also produces a high glycemic index, as the protein is slowly metabolized leading to a steady release of blood sugar into your pet. Some diets that are advised include: Timberwolf, Wellness Grain Free, Innova EVO, Natural Balance Grain Free, Honest Kitchen, Natures Variety, Primal and all Raw Diets. CINNAMON. Yes this tasty spice has been shown to help regulate blood sugar- it is also a potent antioxidant. The active ingredient is called MHCP which mimics insulin to improve blood sugar regulation. The dose is ¼ of a teaspoon per 10 lbs daily. P.S. IF your dog or cat has signs of increased drinking and urinating, then I always advise a Veterinary exam and diagnostics to determine the cause. BUT after the diagnosis is made, there are MANY options- but typically you will hear of ONLY the conventional ones. You want an healthier, longer lived pet? My family cat was diagnosed with diabetes after we noticed an increase in his drinking and urinating, he dropped a lot of weight. Now he is gaining his weight back, still obsessed with eating. I will def. look out for these symptoms in my dog. I can’t say I wouldn’t mind if his breath was sweet though. Good points. I never thought about a dog getting diabetes. My diabetic cat went into remission soon after I stopped all dry kibble including diabetic kibble and fed him high protein natural home prepared food. Many months later I can now also feed him quality canned and sachet foods as well as natural real food. His body also became slim after stopping the kibble.